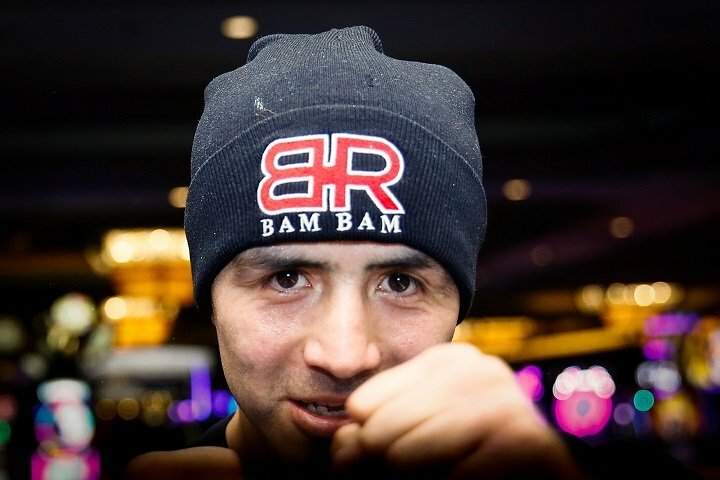 By Allan Fox: A fight between past their prime former world champions Victor Ortiz and Brandon Rios is in the works on Fox on Premier Boxing Champions on August 4, according to ESPN. The 31-year-old Ortiz (32-6-3, 25 KOs) fought to a 12 round draw against Devon Alexander last February. Ortiz looked decent at times against an equally shot Alexander, but neither guy looked like a top 10 contender level fighter. This fight is eight years overdue, as it should have taken place in 2010 when both guys were at the top of their game. Boxing fans wanted to see Rios and Ortiz fight each other years ago when they were both among the top fighters in their respective divisions. Nowadays, there’s not so much interest other than with the old timer fans. The newer boxing fans are more focused on relevant fighters like Errol Spence Jr., Keith Thurman, Shawn Porter, Danny Garcia and Terence Crawford. Ortiz and Rios are guys from the past era of boxing. Rios vs. Ortiz would be a pure grudge match with an outcome that promises something strange happening. With Ortiz’s history, it’s always possible for him to quit if the going gets tough. Ortiz doesn’t always pull a no mas on his fights, but it amounts to the same thing when he suddenly is knocked out when he’s faced with adversity all of a sudden. Rios (34-4-1, 25 KOs) was knocked out in the 9th round in his last fight by Danny Garcia last February. Garcia knocked Rios with a single right hand after dominating him for eight rounds. Rios landed a fair amount of shots in the fight, but they were the weaker variety of shots and they didn’t do any real damage to Garcia. This is a fight that is long overdue, as the two fighters have kicked around the idea of facing each other years ago. The fight should have taken place when both of them were still relevant, but now they’re over-the-hill fighters that are playing out their string. The interest in a Rios vs. Ortiz fight is minimal at best. For the boxing fans that still remember the two, they’re aware of how badly their careers have gone in the last seven years, and the fans that aren’t aware of them, it’s not going to interest them seeing those two over-the-hill guys battling it out. The venue for the potential Rios vs. Ortiz fight will be either in Texas or the StubHub Center in Carson, California. Ortiz’s career has been over for the most part since his 4th round knockout loss to Floyd Mayweather Jr. in 2011. It’s been downhill for Ortiz since that fight. Whether it’s the taste of money or something else that caused Ortiz to start a career descent in 2011 is unclear. If Rios wasn’t coming off such a horrible performance against Danny Garcia in his last fight, it would be interesting to see him tangle with Ortiz. But now with how badly he performed in that fight, Rios vs. Ortiz is strictly an old timer fight.